The power of a will to control the disposition of an individual’s assets may be limited, depending on the forms of ownership in which his or her assets are held. An individual’s will effectively governs the disposition of the testator’s probate assets only. Will provisions are not relevant in directing the distribution of nonprobate assets. Wills perform a number of functions, which include providing for gifts of property to the selected appropriate beneficiaries. A gift under a will may take the form of a bequest, which is a gift of personal property, or a devise, which is a gift of real estate. Wills frequently include separate provisions for gifts of different categories of property. Such as bequests of tangible personal property, devises of real estate and gifts of specific amounts of cash. A will should also include a residuary clause. A residuary clause is a provision that distributes all property that is not distributed under other provisions of the will. The residuary clause of a will normally appear after the provisions of the will that make gifts of individual assets or specific categories at assets. An individual in the process of identifying persons to receive assets on his or her death should consider not only primary beneficiaries but also persons who the individual would want to receive assets if the primary beneficiaries do not survive. Consideration of alternative or contingent beneficiaries allows a person to write a will that is more likely to remain viable despite changes in circumstances. A person whose will names primary and contingent beneficiaries will not face the necessity of writing a new will merely as a result of the death of the primary beneficiaries. Wills frequently include provisions designed to create trusts in certain circumstances. The term “testamentary trust” refers to a trust created under a will. If the will requires creation of a testamentary trust, the executor acting under the will must transfer specified assets to the trustee. The trustee receiving the assets must then administer the assets under provisions of the will that govern the trust. Other important provisions include those relating to the nomination of an executor of the will and the trustee of any testamentary trust. The will should nominate one or more persons to act as executor or as co-executors and one or more persons to act as trustee or as co-trustees. 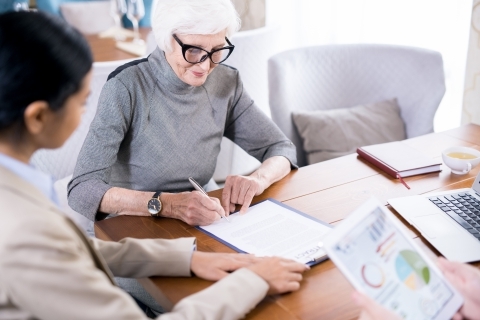 The will should also nominate a successor executor and a successor trustee who can serve if a person nominated to act as executor or as trustee is unable to serve.